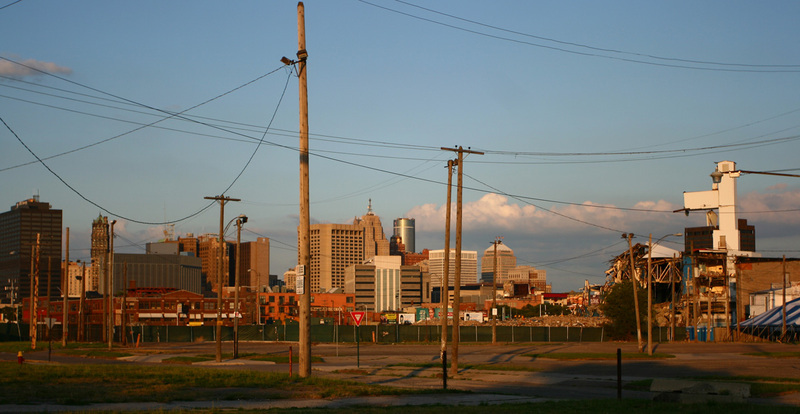 Similar to the "Urban Meadows" gallery above, these shots show the stark contrast between the glitzy skyline of Detroit and the abandoned neighborhoods that surround it. Brush Park area, just north of downtown Detroit. 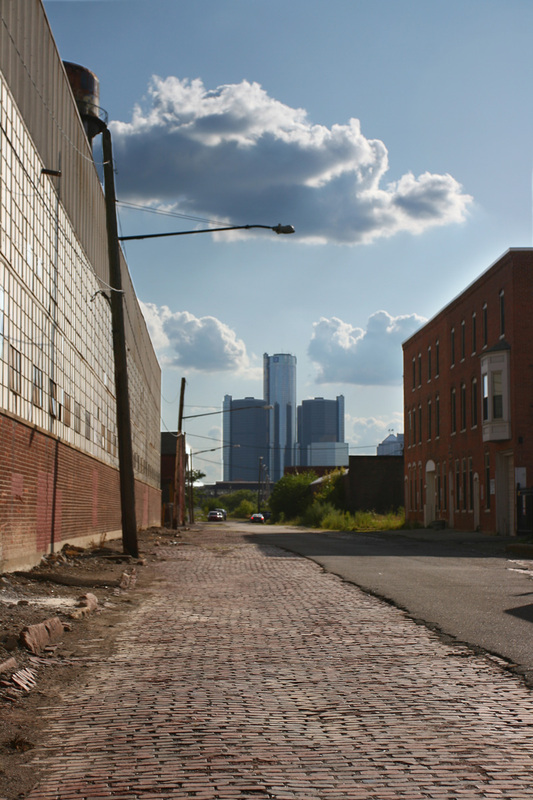 The Renaissance Center looms over the Rivertown-Warehouse District. The remnants of Tiger Stadium. A standard Midtown/Brush Park street scene. 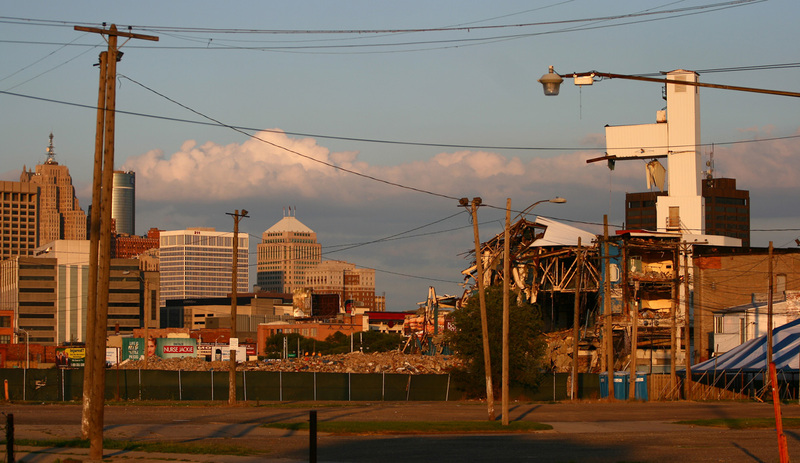 The skyline of Detroit behind the remnants of Tiger Stadium. Michigan Avenue, Friday evening rush hour.